encore Deals! 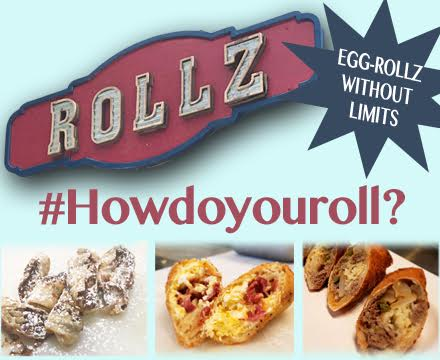 | Rollz: Egg-Rollz Without Limits! One per order. Not valid with any other offer. No cash or credit for unused portion. We specialize in fresh, high quality products. We take Egg-Rollz to the next level. There are NO limits on what we can stuff in a Egg-Roll. We also have some of the best homemade pastries, muffins, cheesecakes!